Facebook rolls out Facebook Stories globally. Facebook Messenger Introduces Live Location: Facebook rolled out a new Live Location feature, which “makes it simple and seamless for you to choose to share where you are with your friends and family” in Messenger. Users have the option to share their current location with a group or with just one other user within a Messenger chat. The shared map will be visible for up to 60 minutes and offers each person an estimated time of arrival to get to the others’ locations by car. Messenger Live Location is now available globally on both iOS and Android. 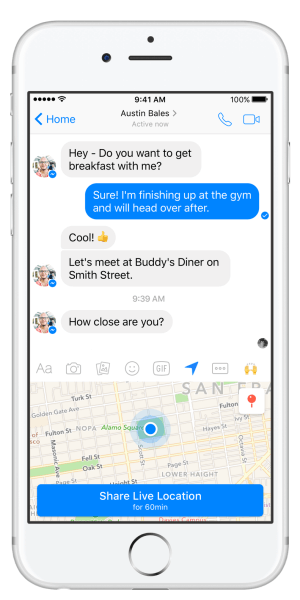 Facebook Messenger introduces Live Location. 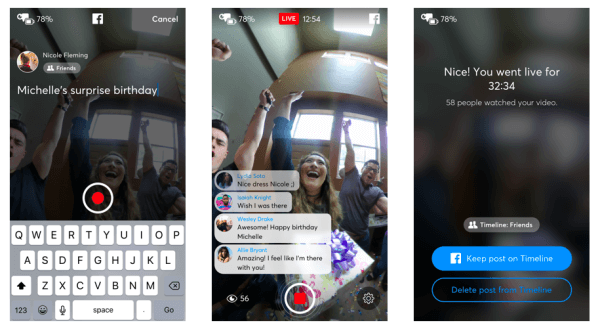 Facebook Expands Live 360 and Spatial Audio to All Profiles and Pages: Facebook announced that Live 360 and spatial audio are now available globally to all profiles and pages. 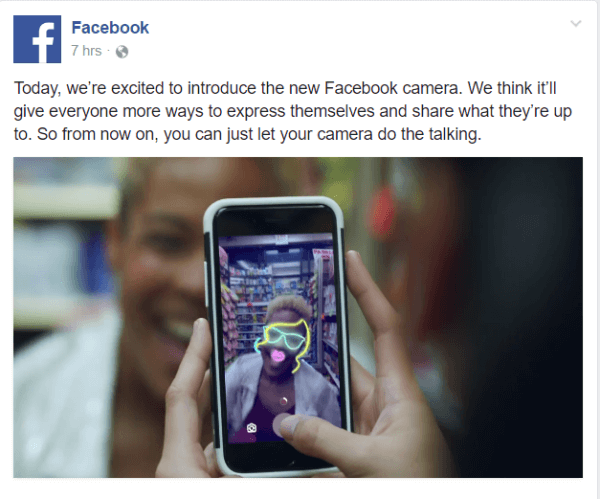 While “anyone with a 360 camera can go live in 360 degrees on Facebook,” the site integrated with several leading 360 camera manufacturers to make going live “easy, reliable, and fun.” A list of compatible camera brands and models can be found on the Facebook Media blog. The company also provides a helpful, step-by-step guide and offers best practices for “getting the most out of Live 360” on the Facebook 360 site. Facebook Live 360 is now available globally to all profiles and pages. In this week’s show from Friday, March 31, 2017, Michael Stelzner and guests discuss the top news in social media. Topics include Facebook Stories (7:54), Facebook Live Location (23:45), and Facebook Local Search and Discovery (32:40). Subscribe to future shows here. Snapchat Introduces Search in Stories: Snap Inc. announced that Snapchat users can now “search over one million unique Stories on Snapchat,” from professionally curated stories to clips of a local basketball game, the scene at your favorite bar, and more. TechCrunch reports that the new search feature “allows users to find Stories relevant to their interest by keyword, from a large number [of Stories] shared publicly by users and brands.” Search in stories is starting to roll out “in select cities” and will be gradually released more broadly. Facebook also updated the branded content tag to include the word “Paid” in the post and made changes to its policy and enforcement guidelines for logos, watermarks, graphic overlays, and more. Page admins can read the Facebook Branded Content Policies to get more information on this program. Facebook now allows more pages to share branded content on its site. 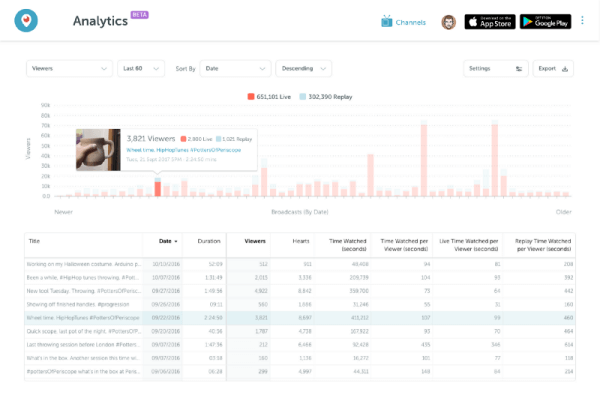 Periscope Adds More Audience Insights: Periscope rolled out two new ways to give broadcasters more insights into their audiences. These updates include a new Activity tab, which “brings forward different types of community engagement” such as new followers or replay alerts and a new analytics dashboard that provides an “in-depth look at their viewership and engagement on their videos over time.” The Activity tab is rolling out on both Android and iOS “in the next few days.” The analytics dashboard is available now by logging into Periscope.tv and on the web. Periscope rolled out two new ways to give broadcasters more insights into their audiences. 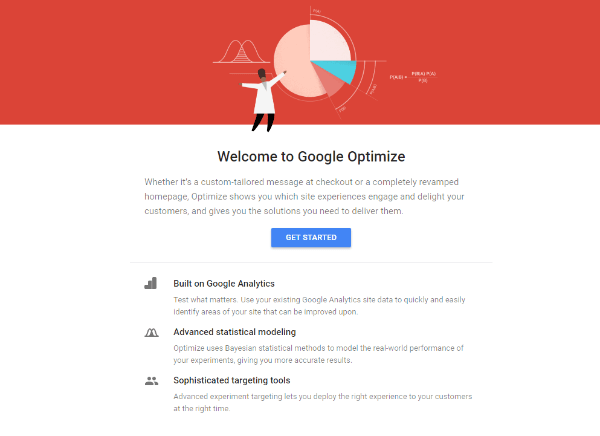 Google Makes Google Optimize Available Globally: Google announced that Google Optimize is now available “for everyone to use in over 180 countries around the world” for free. According to Google, “Optimize helps any business test and deliver better website experiences” and it’s now easy to understand and implement through a native integration with Google Analytics. Google Optimize is now available to use in over 180 countries around the world for free. Pinterest Announces Pinterest Propel Program: Pinterest created Pinterest Propel, a new program providing one-on-one marketing support to businesses and agencies that are unfamiliar with advertising on Pinterest. According to Pinterest, Pinterest Propel was created to help companies quickly “build effective campaigns, gain new customers, and analyze [their] traffic, sales, and online actions” and provide direct access to Pinterest advertising experts, training, custom images, and more. This program is currently limited to marketers in the U.S. and Canada. Pinterest created Pinterest Propel, a new program providing one-on-one marketing support to businesses and agencies that are new to advertising on Pinterest. 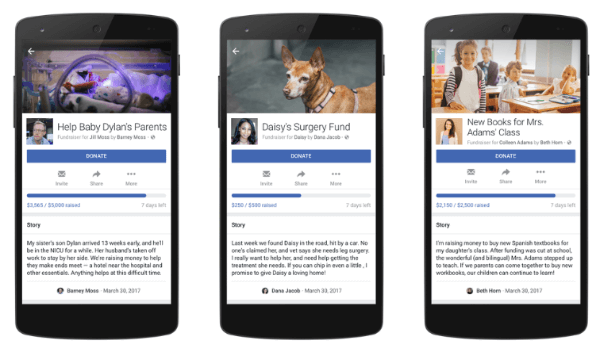 Facebook Expands Charitable Giving Tools to Personal Users and Facebook Live: Facebook initially rolled out charitable giving tools to help non-profit organizations use the platform to gather funds and support. Facebook has expanded these tools to personal users and certain Live broadcasters. Personal Fundraisers on Facebook allow people to raise money for themselves, a friend, or another person or pet within six specific categories: education, medical expenses, pets, crisis relief, personal emergency, and funeral and loss. Personal Fundraisers are currently only available to U.S. adults (age 18 years or older) as a beta test but they are expected to be available more broadly in the future. Facebook expands charitable giving tools to personal users and Facebook Live. Facebook verified pages for public figures, brands, businesses, and organizations can now add Donate buttons to their Live broadcasts. Twitter revealed a new default profile photo for new accounts. Twitter No Longer Counts @names Toward 140-character Limit: The Next Web reports that “@usernames won’t count towards your characters within a reply” on Twitter. Now the other users’ names will appear above the tweet text for a “cleaner” look and more simplified approach to conversation management. Twitter has been testing this update with select users and will begin rolling it out more widely. Pinterest Rolls Out New Search Features for Spanish-speaking Pinners: Pinterest reports that Spanish is “one of the quickest growing languages” on the site and accounts for over five million searches every day. In light of this discovery, Pinterest released new search tools and a new blog specifically aimed at enhancing the experience of Spanish-speaking pinners. 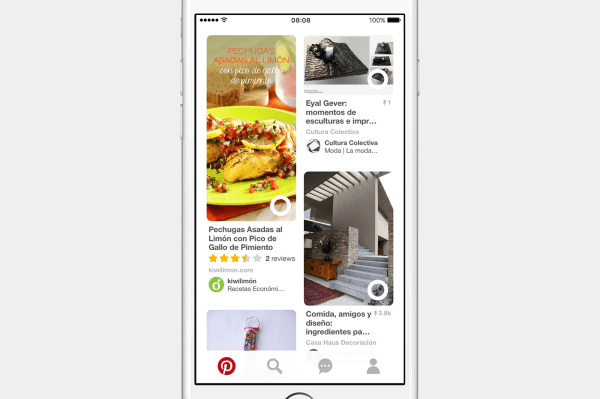 It also released new Pinterest Explore and profiles specifically for Mexico and Argentina. Pinterest launched special features, a new blog, and new Pinterest profiles targeted to Spanish-speaking pinners. Amazon Quietly Launches Amazon Influencer Program: Amazon unveiled the Amazon Influencer Program, a new affiliate program “exclusively designed for social media influencers with large followings and a high frequency of posts with shoppable content.” This influencer program is currently in beta mode and only open by invitation. Social media influencers who are interested in joining the program can get more information and apply on the Amazon Influencer Program page. Facebook Messenger Chatbots Expected to Roll Out to Groups: Facebook is expected to introduce Messenger chatbots to groups at its upcoming F8 Facebook Developers Conference. TechCrunch reports that the new group bots will “keep users informed about real-time news such as a sports game’s progress, e-commerce deliveries and more.” Facebook hasn’t confirmed any details about this project. Facebook Ad Benchmarks by Industry: A new report from Wordstream reveals that the average click-through rate (CTR) for Facebook ads across all industries is 0.90% and the average cost per click (CPC) for Facebook ads across all industries is $1.72. Using data from its U.S.-based clients’ accounts across 18 industries including B2B, retail, technology, and more, Wordstream also provides insights on the average conversion rates and cost per action for Facebook ads. The article includes a helpful infographic with a breakdown for each of these metrics by industry. The Infinite Dial 2017 Report: The Infinite Dial Report from Edison Research and Triton Digital is reported to be “the longest-running survey of digital media consumer behavior in America.” In this latest edition, researchers explore mobile behaviors, Internet radio, podcasting, social media, smart speakers, and more. According to the findings, podcasting awareness, familiarity, and audiences have grown steadily over the past decade, particularly among those in the 25-54 age range. Respondents were also asked to identify the social media brands that they use most often. Facebook was the top choice among 12- to 24-year-olds, cited by 39% of those surveyed. Close behind was Snapchat (31%) and Instagram (20%). U.S. Media Quality Report H2 2016: The latest media quality report from Integral Ad Science explores the state of online advertising media across a variety of display and video ad inventory and multiple media metrics. This guide provides key insights based on the hundreds of billions of impressions analyzed monthly in the second half of 2016. Join us live as we explore Facebook Stories, Facebook Local Search, Facebook Live Location, and as we analyze the breaking social media marketing news of the week! What do you think of Facebook Stories? Have you tried the new Live Location feature in Messenger? Please share your comments below. 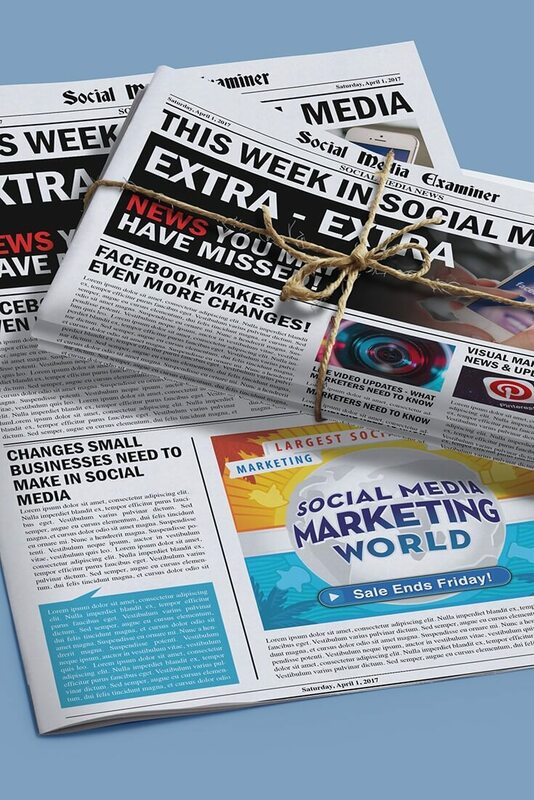 Facebook Stories Launch Globally and other social media news for Apr. 1, 2017.